Everyone loves a perfect fit body. Daily we spend so many hours in the gym, we sacrifice some delicious food. Just to achieve a perfectly healthy body. Body sculpting is just a part of getting a healthy body. 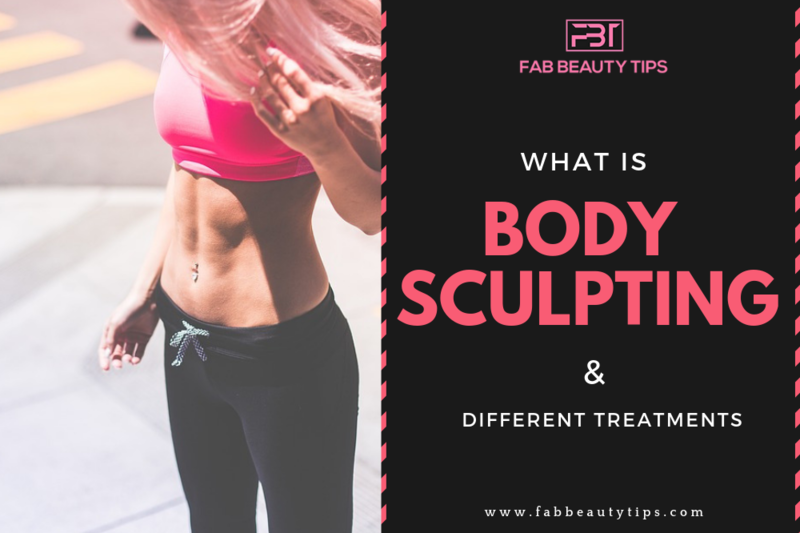 Body sculpting is of two types: Surgical and non- surgical. Here I will discuss some non-surgical methods. Body sculpting treatment is a procedure which works on fat cell. It destroys fat cells. So, basically, it promises to reshape your upper arms, thighs, bottom, and abdomen after continuous use of a certain product or treatment. There are various different methods for this. And all works on different concepts. Getting rid of excess fat and cellulite is not that easy, but with body sculpting treatment and proper diet, you can definitely achieve a perfect body. Technically they target the fat cells and lymphatic system also. As it gonna break down fat and disperse the cellulite. All types of body sculpting work best on normal Body mass index(BMI) which is from 18.5 to 24.9. The best part is you will not need anesthesia, like in surgical body sculpting procedures. In this treatment, the portion of the skin gets pulled by suction. Then the area gets frozen by machine. Because of the very low temperature, the fat underneath the skin gets destroyed. Fat turns into ice crystals which are then simply drained by the body. This can be performed on many body parts, including chin, thighs, arms, love handles and abdomen. Mostly this process takes an hour. There is not at all recovery time needed as there is no damage occurs on the skin or tissue. This is a very effective treatment but if the person continues the unhealthy diet then the treatment will not be that much effective. Hot body sculpting uses the thermolipolysis. Basically, it uses heat from laser targets the specific area. Slight sensation and warmth can be felt by the patient. The laser melts the fat cells with warmth. It can cover more area comparatively then cool sculpting. It gives more tightening of the skin. Ultrasound works on sound waves. Here it is used to break down soft fats. It is majorly used for abdomen fat. In this process also slight warmth can be felt by the patient on the specific area. Radio frequency is a type of energy. This is one of the best methods of all. This is the best technology for skin tightening and cellulite reduction. This works on the high-frequency electric current which penetrates various layers of skin. It works till the subcutaneous layer. This treatment works on cellulite and skin tightening at the same time. The skin looks much younger and better after this treatment. It reduces specific stubborn fat deposition. It can be performed on the jaw, under eyes, chin, and around the neck area. There are also a few special sculpting gel product available now in the market which will help you to get rid of excess fat and cellulite. You just have to follow some steps for that. Exfoliating the area before any treatment gives better results. It will remove all dead cells from the skin and make the whole process more efficient. You just have to gently scrub the area that you want to treat. Before any treatment, exercise or diet always keep habit to measure the specific area. This step is for your own analysis of any treatment. That whether it is working or not. Application of products is a very important step. The application technique and how to use any product is varied according to product to product. The application has to be even everywhere. Wrapping the whole area tightly will provide you very instant results. As the warmth creates it will help to penetrate the product nicely. So basically it will boost the whole process. Unwrap the area and then measure again. Keep that in mind that measurement should be taken in the same position as before. For example: Before treatment, measurement is taken in while you are standing straight. Then the after measure should also be taken in a straight standing position only. So here are some various Non- surgical body sculpting techniques. Do leave your comment below and let me know how this article helped you and do share it with your friends too. These days I’m hearing a lot about cook body sculpting and it’s benefit in breaking up the fat cells. These laser treatments look perfect for many people with uneven and extra fat deposits. Have been hearing this term since a long time but never really knew what went behind. I have been approached many a times by salons and clinics but my ignorance led to fear and I denied. I have heard a lot about it however want sure if what exactly it does. Thanks for sharing such an informative post. I have heard a lot about body sculpting techniques but never tried them. At least now I know about them through your post. Will check them out soon. Wow! I had no idea how body sculpting works! You have explained all the techniques so well! Got to learn something new today! Thank you for the post! I’m sure these procedures are helpful and effective. But personally I feel one must aim to get fit naturally. This is very informative article. I have heard about such treatments but never tried. It is amazing and effective. Thanks for sharing the blog I’m definitely going to try . Have tried a few of what you have mentioned and they do work ! Especially I love the fact that they are non-surgical and quite safe. This non surgical treatment is good for shaping your body but we need to keep a check on what we eat so that our body is fit and healthy after this treatment too.